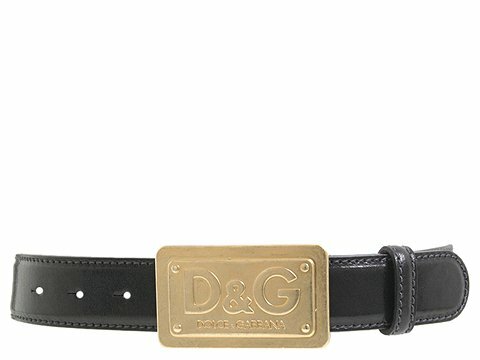 Stop eyes with the striking style of this becoming belt by D&G Dolce and Gabbana. Rectangular belt buckle decorated with D&G Dolce and Gabbana. Gold tone hardware. Leather belt. 1.5 belt width. Made in Italy.